Tomorrow it can be your loved one. Help an accident victim without being harassed. Know your rights Share Good Samaritan Story Have you been Harassed? A Good Samaritan is a person who, in good faith, without expectation of payment or reward and without any duty of care or special relationship, voluntarily comes forward to administer immediate assistance or emergency care to a person injured in an accident, or crash, or emergency medical condition, or emergency situation. Why be a Good Samaritan? Over 70,000 lives can be potentially saved if bystanders come forward to help. What has been the impact of the Good Samaritan Law? Why did we need a Good Samaritan Law? 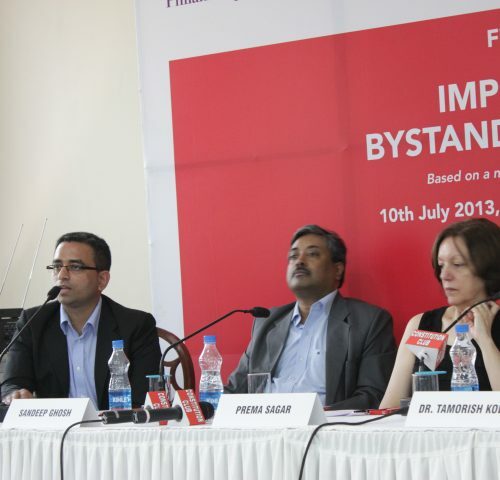 According to the Study on Impediments to Bystander Care in India conducted by SaveLIFE Foundation in 2013 in the cities of Delhi, Hyderabad, Kanpur, Ludhiana, Mumbai, Indore and Kolkata. How did India get a Good Samaritan Law? 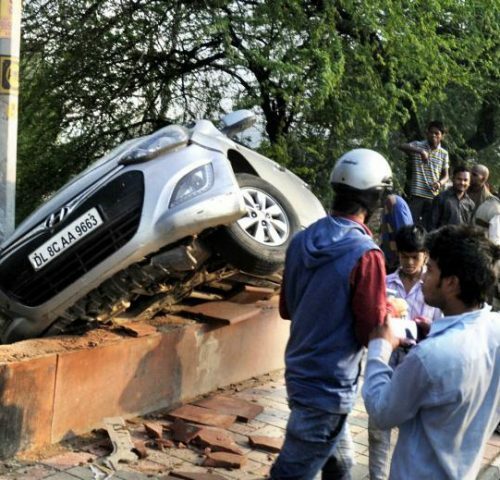 In the last ten years, road crashes have killed over 13 lakh people in India. 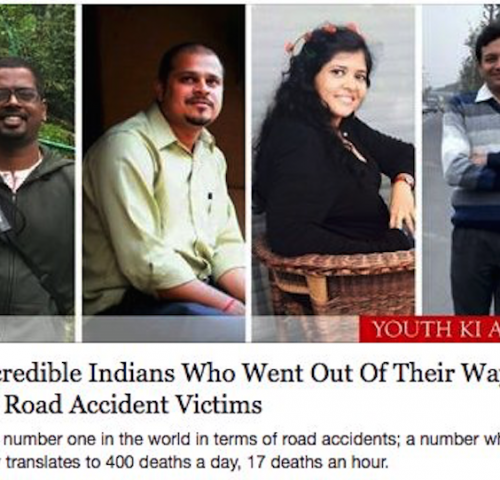 According to the Law Commission of India, 50% of these victims died of preventable injuries and could have been saved if they had received care on time. The role of the bystander is critical in providing emergency care to the victim. 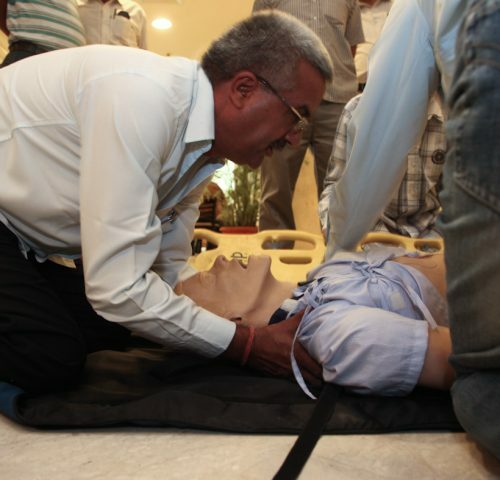 Yet, in India, bystanders have been hesitant to help the injured for fear of legal repercussions and procedural hassles. In 2012, SaveLIFE Foundation had filed a Public Interest Litigation (PIL) in the Supreme Court of India, requesting the Hon'ble court to safeguard Good Samaritans who come forward to help the injured. On March 30, 2016, the Supreme Court of India gave "force of law" to the guidelines for the protection of Good Samaritans issued by the Ministry of Road Transport and Highways. The purpose of a Good Samaritan law is to provide legal protection to bystanders who come to the aid and rescue of victims of road crashes. How can I help as a citizen? Not everyone knows about the law. Spread the word and help others learn. If you have helped a road crash victim or are a victim saved by a Good Samaritan, please take a few minutes to share your story. Your story can inspire others to be Good Samaritans. I understand that the information provided by me is privileged and shall wholly be confidential. The use of such information for any purpose shall be taken only with my prior permission. According to the Supreme Court judgment dated March 30, 2016, Good Samaritans are now protected from any legal or procedural hassles that come in the way of helping road crash victims. Despite the judgment, if you have been harassed for being a Good Samaritan, share your story with us. Additionally, you can also report the matter to the concerned authority. Click on “Report to Authorities” tab to send an email to the Superintendent of Police or Deputy Commissioner of Police or an officer of equivalent rank of your district reporting this harassment. We have created an email template for your use. We will automatically feed in the address of the relevant district personnel and create a ready-to-use paragraph for the complaint within your email. Send an email to concerned authorities reporting this harassment. We will automatically feed in the address of the relevant district personnel and create a ready-to-use paragraph for the complaint within your email. Next time you witness an accident, don’t hesitate to reach out and help. Learn everything you need to know during an emergency by downloading the tips for emergency care. The kit contains all essential emergency numbers across the country, key steps to save a victim, and other relevant tips. SaveLIFE Foundation (SLF) is an independent, non-profit non-governmental organization committed to improving road safety and emergency medical care across India.